It's a year when you stand out in public and bring great comfort and relief to others. You find a sense of safety when others around you need and desire only the security and contentment you can provide, Pisces. You put others close at ease with your presence and in 2015, you will find others battling to be first in line where you and your company are involved. A Cancer and a Capricorn will play key roles in 2015. It's a year where you stand to benefit from being compassionate, nurturing and honest with yourself. You will know what needs to occur but you could get lazy and procrastinate! Try not let the passionate energy of 2015 get to you so much that you fail to see warning signs when it comes to relationships that need to exit your life! Jupiter begins 2015 in Leo, your 6th House of health, wellness, daily routines, repair and maintenance issues. Jupiter is the planet of abundance and is all about expansion, so you can expect your work life to really take off in 2015, Pisces. Your health and physical appearance will be in the spotlight during this transit, so make sure you are taking the best care of your body and you can be astounded by the results you get during this time. Jupiter begins 2015 retrograde, so don't be entirely surprised if you face some setbacks, misunderstandings or delays where your work, health matters (yours or that of one close to you) are concerned. The good news is that this planet of expansion is only retrograde until 4/8. Once 4/8 rolls around, where there were delays and where you might have questioned yourself internally, this worry vanishes. These areas begin to pick up steam, fast! You will notice how your career expands, your daily routines change in a beneficial and easier way for you and you possess good fortune and prosperity in all properties of the 6th House. On 8/11, Jupiter enters Virgo, your 7th House of marriage and that's when love and marriage pick up steam and are beyond well starred for you, single and coupled. Single Pisces can fall in love at first sight while couples will enjoy each others company and might decide to expand their lives together by purchasing something to share, having a child, buying property or by getting married after a long courtship. 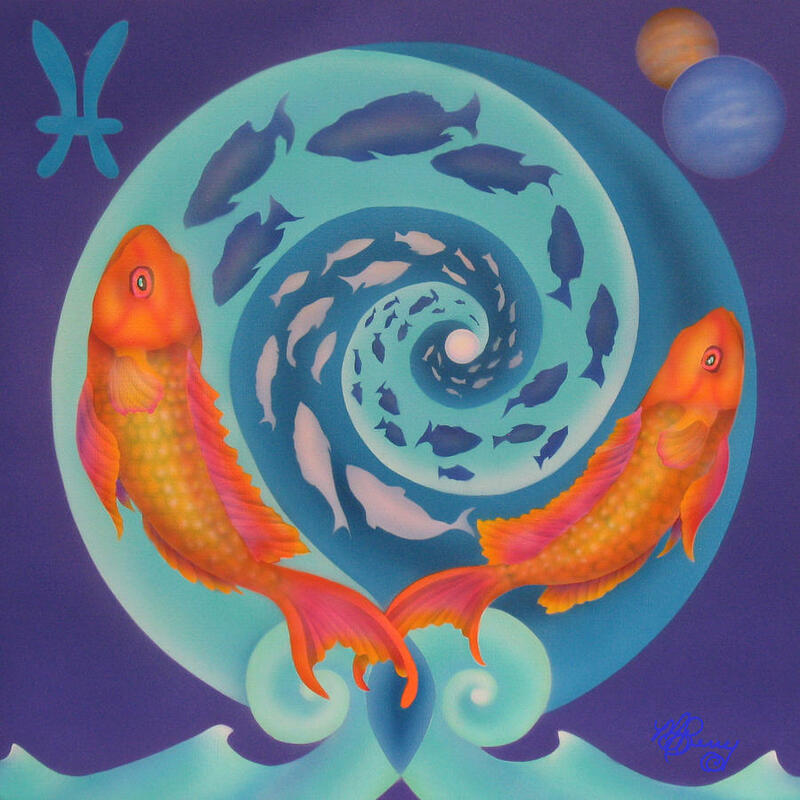 Expect to see major expansion and great luck in your 6th and 7th Houses in 2015, Pisces! Lessons you might need to learn more about, Pisces. Your 10th House of Career, prestige and superiors. In 2015, Saturn begins it's 2.5 year tour in your 10th House of prestige, fate, honors, career, superiors and VIPs, Pisces. Temporary turbulence could impact a business relationship during this time as Saturn will retrograde into Scorpio on March 14th through August 1st. You will be dealing with matters pertaining to prestige, honors and your hopes and wishes throughout this entire transit. You begin 2015 with hopes and wishes to improve your career standing and those of you who have been working hard and building solid structures in your career will be beyond excited by all of the rewards you get for a job well done! Regardless of what transpires, your greatest desire will be to improve your career standing throughout 2015, so in order to achieve this you must put in overtime, ask for greater responsibility and expect to have to work longer days during this time, especially when Saturn is retrograde and even more so if you have been lazy, indulgent or taken the easy way out, Pisces. The good news is that you have the planet, Jupiter, in your 6th House of daily work, so don't expect to be left out in the cold, Pisces! With Saturn, it's about your past and how you have built a solid foundation where your career is involved. Those of you with long histories at your place of employment or in a chosen field will find that great rewards and honors come their way. Some Pisces will be re-evaluating their personal hopes and wishes and might decide to begin over in a brand new career or write a new chapter in their existing one this year. Pluto has been in Capricorn - Your 11 House of friendships, hopes and wishes since 2008, Pisces. Pluto is the planet of transformation and rebirth. By now, you should have noticed how this transit has impacted and changed your relationships with friends. You have made new friends while old friends might have fallen by the wayside. Pluto tears down what is no longer working for you and brings about new friends who are meant to be in your life for a reason. Your hopes and wishes are also impacted by this transit and so are group involvements. While you have luck in your day to day work, Pluto is about slow but powerful change and seeks to transform whatever House it touches, in Astrology. Yes, Pisces, 2015 focuses very much on your secret hopes and wishes and brings about a boost to your career as long as you have been working hard and most Pisces work very hard! Expect some serious changes in the company you keep in 2015, Pisces. Think back to 2013 and look at now. There should be a transformation or slow but powerful change taking place where these key areas are involved. Your powerful alluring and persuasive whenever Mars tours your sign. This is also a great time for new beginnings, passionate encounters and launching new projects, Pisces. Mars, when placed in your 1st House - exerts a powerful magnetism that is sensual, powerful and finds you standing out in public and private, Pisces. Whenever Mars transits your 5th House, it's a good time to begin or cement important relationship and intimate relationships, Pisces. When it travels through your 7th House, marriage and professional relationships are the central focus. Pay attention to the dates listed below to see how these years transits will play out for you. In 2015, Venus will retrograde, so try and not make any serious moves during this time, Pisces! ********Venus will retrograde (not a good time for love) in Leo. This takes place 7/25 - 9/6 and impacts your 6th House, so pay special attention during these dates to your daily work, health and repair and maintenance issues. Something creative could be rethought or put into action during this time. And since Jupiter will be in your 7th House during this retrograde, pay closer attention to your love life during this time.